A nursing student of the Good Samaritan School of Nursing dances with a male partner. 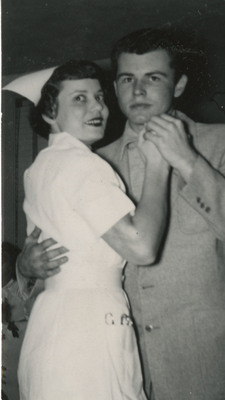 Unknown, "Nursing Student with Dancing Partner" (1951). Good Samaritan School of Nursing Photographs. Image. Submission 199.